The funniest thing about watching this is that it starts out in the futuristic year of… 2017 (at the start of the film, and then it jumps to 2019). This film is filled with an ungodly amount of cheese, and it’s still and absolute joy to watch. From the genius casting of Richard Dawson — who I’m really surprised never really made more films, despite the terrific villain he can play — to the incredibly entertaining guys sent out to kill Arnie, and the black humour throughout (when Buzzsaw gets buzzed through the crotch, turning his scream into a high pitched screech, or even the Running Man home game that audience members receive as a prize), this is still of the best action-comedies of the era. 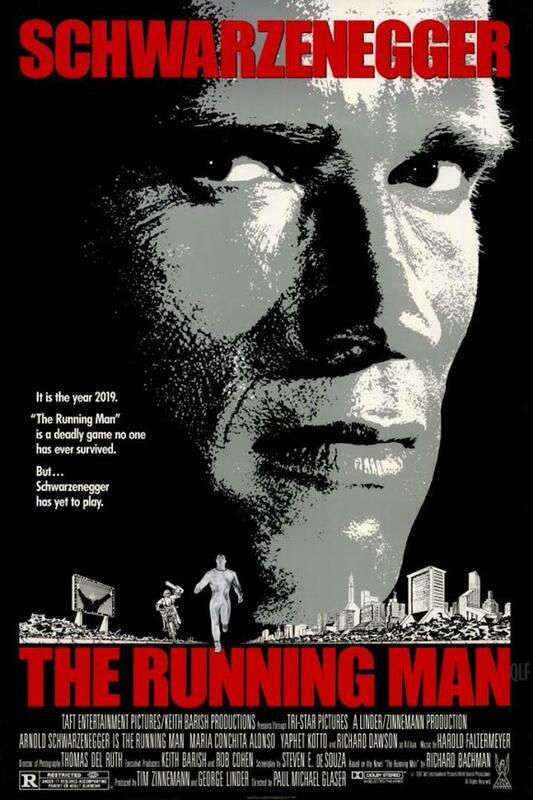 Total Recall is still the best Schwarzenegger movie, and Predator is also pretty damn great, but I think Running Man is his funniest and still a blast to watch (despite the laughable “futuristic” production design).